How can anyone resist voting for this cutie in the annual Bird of the Year campaign? Penguins captivate us human-folk. They’re one of those animals that just oozes natural charisma. It’s largely because they appear so like us with their upright stance and their dinner suited attire, their sometimes funky ‘hairstyles’ and their mannerisms that seem just so familiar to us. We call this attribution of human form and characteristics to something clearly not human, anthropomorphic. For animals where we do this it should serve to benefit them- by making us more responsive to their needs from a conservation and protection perspective. 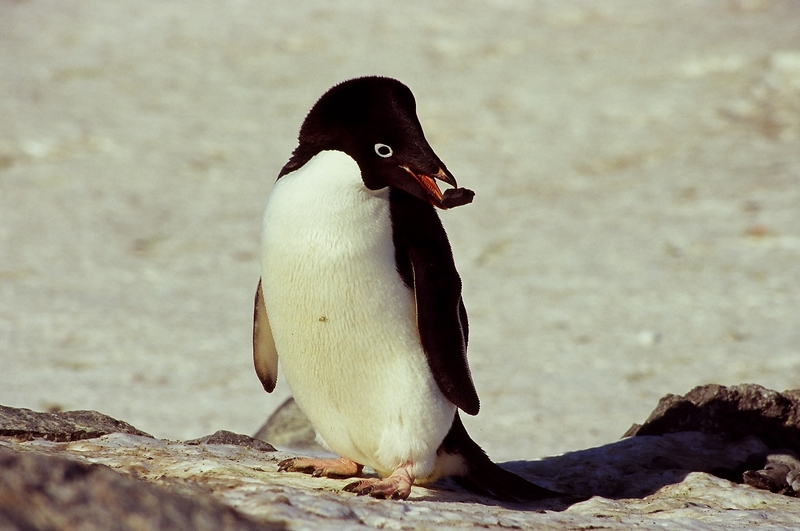 Adelie penguins lay two eggs each summer. The most numerous of penguins found in the Antarctic is the Adélie penguin, distributed all around the coastline of the vast icy continent. Some colonies have up to 100,000 birds. They are one of the most southernmost seabirds. Adélie Penguins were so romantically named after the wife of a famous Antarctic explorer, Dumont d’Urville, who discovered them. Perhaps that is when they first started creeping into our soft spot? 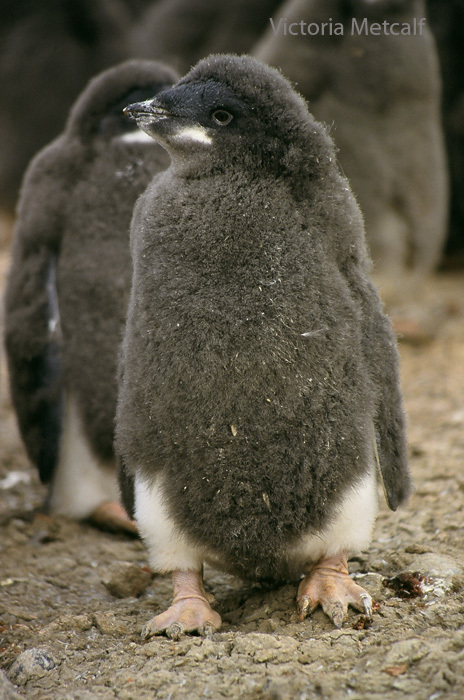 Adélie penguins are one of three brush-tailed penguin species, all of them Antarctic based, the other two being the gentoo and the chinstrap. Adélie penguins are perhaps the pluckiest of the three. 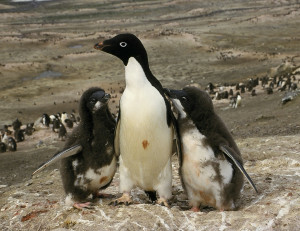 They all hold important places in the Antarctic foodweb as being top, or near the top predators. They build their nests somewhat unbelievably out of stones- ow! But it’s a practical thing to do in the cold temperatures because it elevates the eggs off the ground and allows them to be kept warmer. And watching them in their colonies is a highly enjoyable pastime- not only their romantic crooning behaviour between pairs but perhaps their less savoury antics- their thievery. You see, stones are like their currency- the more stones on a nest, the more valuable it is. I once spent a hilarious half hour watching Adélie escapades. A neighbouring bird was determined to add to the stones on its nest and kept heading off short distances to gather more. However, each time it left its nest was fair game for its neighbour who did not hestitate in wandering over and taking as many as it could to proudly present to its female mate sitting on their nest. The neighbour returned nonplussed it seemed (see here’s that anthropomorphic angle coming in- we can’t help ourselves can we?) that there were less stones than before. It added its new addition and then wandered off to get more. In the meantime, more stones were pillaged. This is the rough side of life in the extreme environment of the Antarctic! Each time the thief presented the stolen treasure with much fanfare. 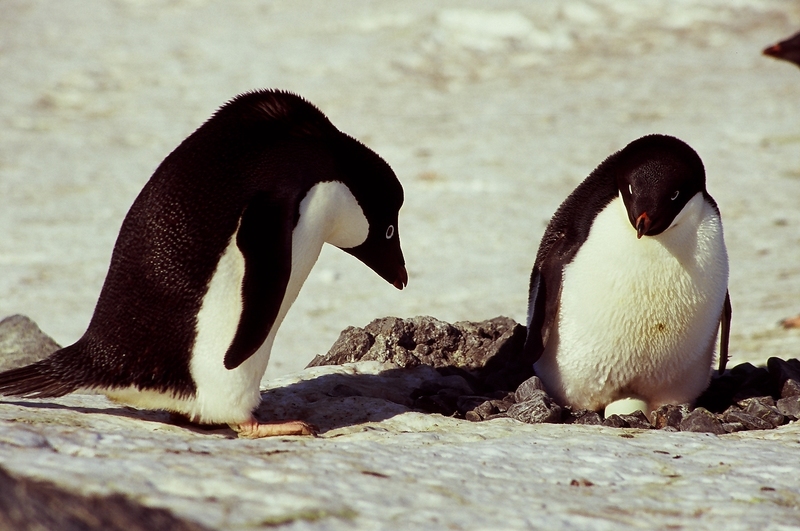 Adélie penguins lay two eggs each summer and hopefully hatch two chicks but they preferentially feed one more than the other in a survival bid. In a good year both chicks will fledge. But survival rates once they are out in the ocean are incredibly low. Once chicks are old enough they are gathered off in communal crèches with minders whilst parents go off and forage for food. More good opportunities for hilarious penguin watching- I once saw two chicks escape the crèche and go on their own adventure (risky stuff with predatory birds overhead) of walking up and tobagganing down a ‘slide’ until their minder corralled them back. Before that age, however, the parents take it in turns to look after them. Another highly amusing thing they will do is to engage in feeding chases, both as a mechanism perhaps to ensure the chicks requesting food are truly theirs and also perhaps to make sure they are really hungry, before the parent releases its stomach contents (usually krill). They can go on for surprisingly lengthy periods- twenty minutes or more. A lengthy feeding chase- note a unrelated chick getting stomped on in the process. They are not without their predators however- leopard seals often lurk around colonies trying to target birds entering or leaving the water. Orca also will engage in eating penguins. On land they are not safe either. Skua birds are always flying overhead, on the lookout for an egg, a chick to isolate and target, a sick bird. These days though there are more threats and perhaps these gutsy robust birds can be used as a flagship animal for Antarctica and raising the icy continent’s profile. Skua are always on the lookout for a penguin meal. For they are also under potential threat from climate change and fisheries. There is less than half an hour to go in the annual Forest and Bird Bird of the Year campaign. My daughter asked me to be the Campaign Manager for Adélie penguins. We want to encourage you to think about animals that may be out of sight but hopefully not out of mind. Watch this video my daughter and I made and whatever you do in the next few minutes if you haven’t already, then #voteAdelie here. 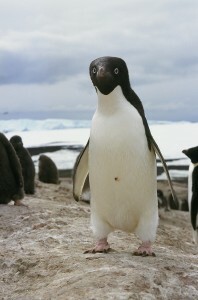 Let’s get this fun Antarctic bird in the top 5.